The Log is definitely one of most useful cards in the vast majority of any Clash Royale Meta. The reason for this isn’t due to its damage or ability to take down enemy towers from far away but rather due to its utility and flexibility as arguably one of the most multifaceted cards in the game. What do I mean by this exactly? Well not only does the Log have the ability to crush all low health units such as Skeletons and Goblins in their various forms, but it can do so with ease, not requiring much precision as illustrated in the below video against Goblin Barrels. In contrast with the Zap, you don’t have to be precise with positioning at all. When played, The Log rolls through the Arena, dealing splash damage and kick back all troops on the ground. 24/8/2016: Cast time decreased by 66%; travel speed increased by 20%. 19/9/2016: The Log now kicks back ALL ground troops. 20/10/2016: The Log now rolls faster and longer; Damage increased by 9%. 23/1/2017: Damage decreased by 4%. I added Poison into the chart since lots of players asked for it. Please note that Poison damages over time. It depends on how long the targeted cards stand in the spell AoE. You don’t always get that full 600 damage while using Poison. The Log has a larger radius than both Arrows and Zap. It has nearly double the radius of Arrows and triple the radius of Zap. The Log has better damage/Elixir than both Arrows and Zap while hitting the largest arena of units. Also, it’s almost guaranteed that you could do chip damage with The Log. Goblin Gang – Log offers you a +1 elixir trade, Zap doesn’t kill them all, Arrows give an even trade. Skeleton Army – Although all 3 spells kill can remove the whole Skeleton Army, using The Log is a lot easier. Also, using The Log offers some chip damage on the Tower as bonus. Princess, Goblin Barrel, Dart Goblin – Only The Log gives positive Elixir trades. Moreover, The Log has the ‘special ‘ ability which resets attack animations of many cards (P.E.K.K.A for example) and knocks back cards (including resetting Prince’s charge), resetting their targets. Meanwhile, Zap has the ability of being able to reset charges (Sparky, Inferno Tower, Princes etc). 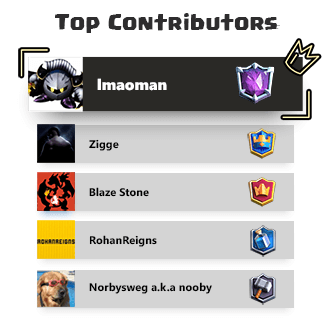 The Log is also excellent at dealing with cards like Musketeers, Wizard, Electro Wizard etc on defense. Simply toss your Log right once they entered the Tower’s attack range, pushing them back a bit while dealing 240 damage. When swarms like Elite Barbarians or Barbarians are dropped, The Log can do good damage to them, knock them away from your defensive cards. You can throw The Log behind troops like Hog Rider to help them reach the Tower and prevent the opponent from using defensive ground troops on the lane properly. Meanwhile, with 4 Elixir, you can pretty archives the same area of denial. As stated above, Zap is excellent at dealing with charging cards like Sparky, Inferno Dragon etc. Arrows and Zap excel at dealing with flying units. The Log can’t do much to help either of these cases. However, it offers just too much value when you want to carry other cards that will do the job well (Electro Wizard, Archers etc). Also, Arrows and Zap are better at dealing with Night Witch, one of the most threatening cards at the moment. Ice Spirit: Occasionally, you can use The Log to deal with Ice Spirit for an ‘okay’ negative Elixir trade, If you are trying to profect a defensive stand or offensive push. For example, use The Log to prevent Ice Spirit from freezing your Inferno Tower. 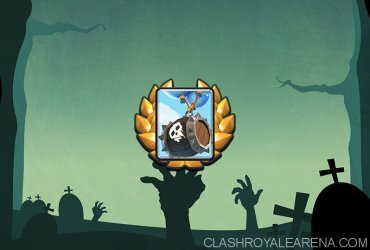 Skeletons: Skeletons is one of the most versatile cards in Clash Royale alongside with The Log. In this case, it almost requires you to get more value than simply rolling it over the Skeletons. For example, use The Log on the defending Skeletons which, giving your Hog 1 more hit on the Tower. Dealing with 3+ Elixir Cards – Positive Elixir Trade!!! Archers: Using Log on Archers when they are about to cross the river into Tower’s range helps avoid damage. Your Tower will hit the first Archer and clear the second one when she crosses back to the Tower’s range. 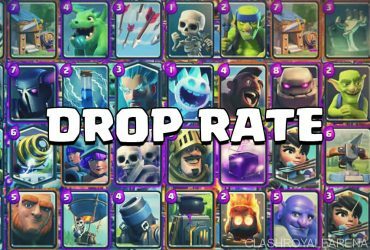 Ice Wizard, Bomber, Musketeer, Executioner, Witch, Electro Wizard, Wizard: Similarly, use The Log on these ones to minimize their damage. Goblin Gang: The Log crushes the entire Gang. However, don’t place it too soon. Wait until they are about to cross the bridge so you could pick some additional troops behind. Goblin Barrel: Not really an easy matchup. You should practice your timing to minimize the damage. Try to toss The Log right before the Barrel lands so Goblins can’t do any damage on your Tower. Smart Goblin Barrel usually diversify the placements. Learn to watch their shadows and guess where you should place your Log. Guards: Don’t ignore these Skeletons. They will poke your Tower really really bad! Toss The Log when they are crossing the river to split them into 2 parts, helping the Tower deal with them a lot easier. Dart Goblin, Princess: Wait until they are almost at the bridge. You could get more value If your opponent drops Ice Spirit/Skeletons to support them. 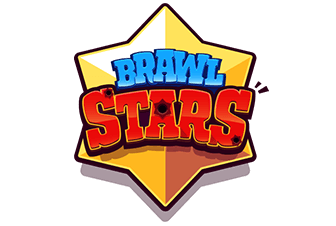 Battle Ram, Dark Prince, Prince: Use The Log to reset their charges to minimize the damage when you distract them with other cards. Barbarians: The Log can take out 1/3 of their HP. Do the timing well and you can split them apart, helping the Tower deal with them more effectively. Elite Barbarians: The Log takes out only 25% of their HP but you can use it to reset their attack animation, giving your other cards more time to deal with them. Miner: If your opponent plays Miner on your Elixir Collector at the middle, use The Log to protect your investment and pushing towards the Tower, forcing him to re-target. Royal Giant: The Log works well at killing/damaging support troops while pushing the Royal Giant back a bit. While he is walking back to the previous position, you can place any building down to deal with the push (If you were late doing this before). With large troops like Giant, Golem Royal Giant, use your Log to hit them with the side of The Log, pushing them towards the middle If you have planted an Inferno Tower (so they will not be out of Inferno’s range). 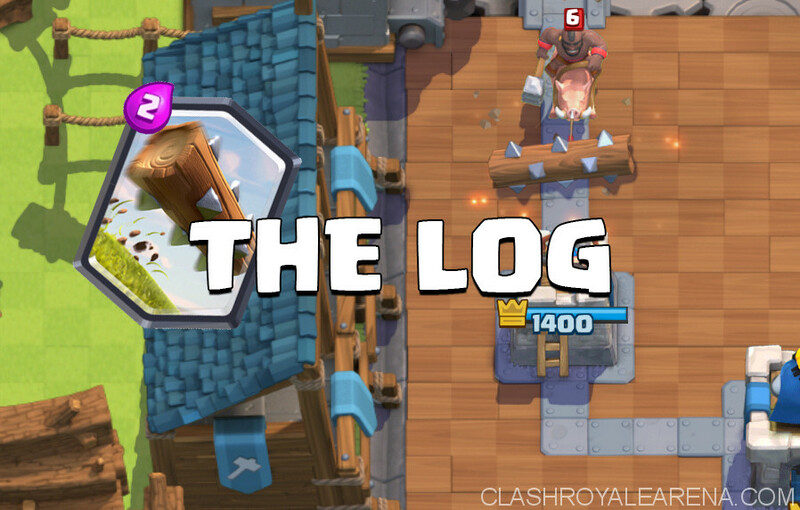 Sparky: The Log doesn’t reset her charge but it could help you kill her before it’s too late. Tombstone: One of the best uses is here! The Log totally destroy the weakened Tombstones and all of the spawning Skeletons. This helps your Hog Rider/Giant/Golem gets to the Tower a lot easier. Three Musketeers: The Log + Fire Spirits = +5 Elixir Trade! Inspired by /u/edihau, this chart indicates whether a spell/combo could kill the unit. The number represents the remaining HP of the unit after getting hit by the spell/comobo. For Poison, let’s assume that the unit is damaged by the Poison for the full 8s.